History - Martial Arts Academy Inc.
Nabe Mastsumura, born 1860, was the grandson of Matsumura Sōkon, who founded the Shōrin-ryū style of karate. Being related to Sōkon meant that Nabe was privileged to extremely thorough training from his grandfather in the family's style, as well as the secret White Crane system that was only taught to immediate family members. 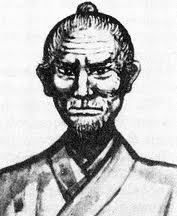 Hohan Sōken (祖堅 方範 Soken Hōhan?) was an Okinawan martial arts master who founded the Shōrin-ryū Matsumura Seito Okinawa Karate Kobudo Association. He was born May 25, 1889 (although at least one text puts his birth year as 1891) in Nishihara, Okinawa. He died November 30, 1982 in Nishihara, Okinawa. The year was 1956 and the Korean War was recent history when Phillip Koeppel enlisted in the United States Navy. He was just 18 years old and stationed in Yokohama, Japan when his interest in martial arts drew him to start karate lessons not far from his base.